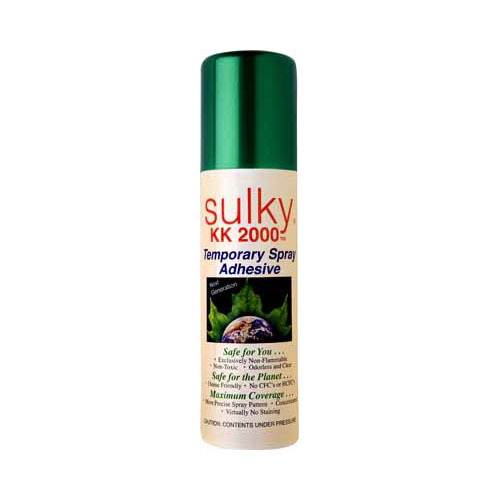 Sulky KK 2000 is the only SAFE Temporary Spray Adhesive on the market that contains NO dangerous flammable gas propellants. This handy size contains up to 70% more usable product because it is made of a highly concentrated material combined with a low pressure spray that eliminates wasteful over spraying. It is Ozone friendly, containing no CFC’s or HCFC’s. Use for; basting, holding stabilizers in place, stencils, fabric to paper, matching seams, bindings and free-motion quilting.